It's the greatest sound in college basketball. The crowd makes this noise, like ' oh no ' when a guy who's hot gets the ball and has an open look. 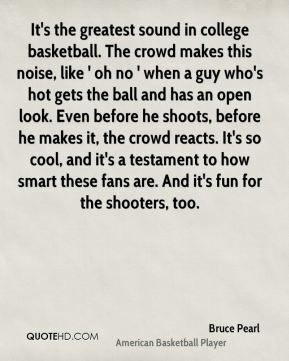 Even before he shoots, before he makes it, the crowd reacts. It's so cool, and it's a testament to how smart these fans are. And it's fun for the shooters, too. 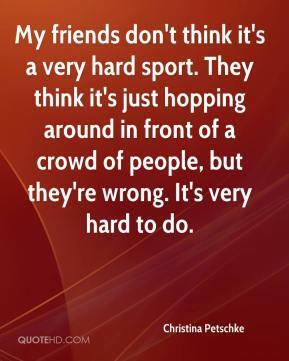 It is harder than most because of the crowd. 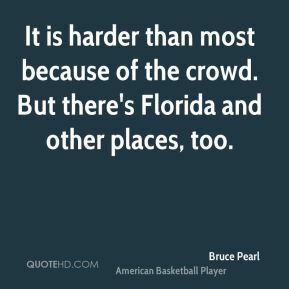 But there's Florida and other places, too. 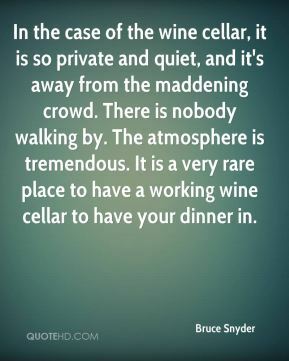 In the case of the wine cellar, it is so private and quiet, and it's away from the maddening crowd. There is nobody walking by. The atmosphere is tremendous. It is a very rare place to have a working wine cellar to have your dinner in. We were playing a neutral game. There was no tournament atmosphere, no crowd. 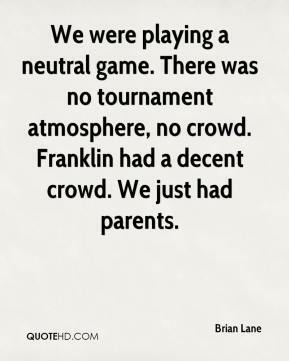 Franklin had a decent crowd. We just had parents. 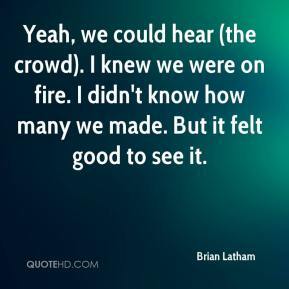 Yeah, we could hear (the crowd). I knew we were on fire. I didn't know how many we made. But it felt good to see it. It was good to see. 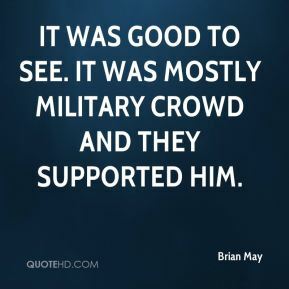 It was mostly military crowd and they supported him. 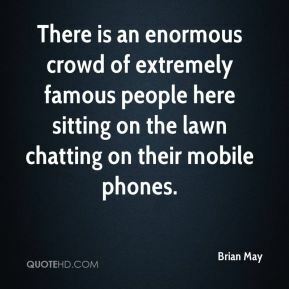 There is an enormous crowd of extremely famous people here sitting on the lawn chatting on their mobile phones. 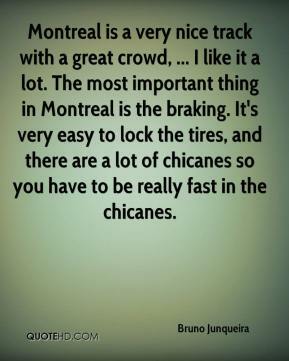 Montreal is a very nice track with a great crowd, ... I like it a lot. The most important thing in Montreal is the braking. It's very easy to lock the tires, and there are a lot of chicanes so you have to be really fast in the chicanes. 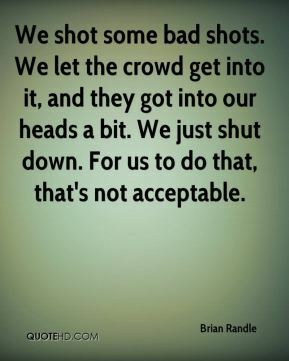 We shot some bad shots. We let the crowd get into it, and they got into our heads a bit. We just shut down. For us to do that, that's not acceptable. 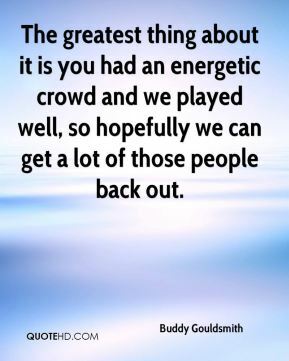 The greatest thing about it is you had an energetic crowd and we played well, so hopefully we can get a lot of those people back out. I think the energy in the crowd has been a tremendous boost to our team. 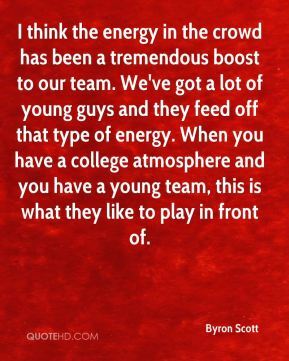 We've got a lot of young guys and they feed off that type of energy. When you have a college atmosphere and you have a young team, this is what they like to play in front of. You get a very knowledgeable crowd there (at York Hall). They got behind me as a prospect, so I am looking forward to seeing how they receive me now that I have gone on to become a double champion. I am going to miss it a lot. We've got an amazing crowd. 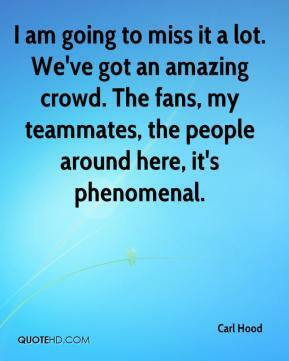 The fans, my teammates, the people around here, it's phenomenal. 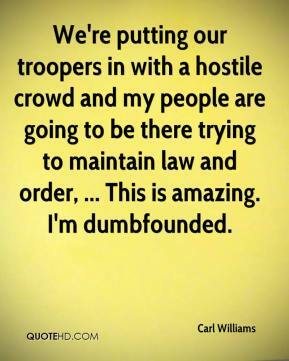 We're putting our troopers in with a hostile crowd and my people are going to be there trying to maintain law and order, ... This is amazing. I'm dumbfounded. 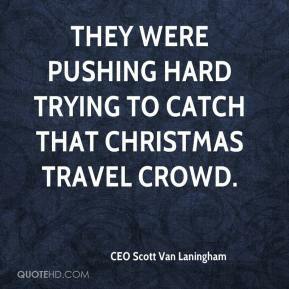 They were pushing hard trying to catch that Christmas travel crowd. It's not like I did it on purpose. 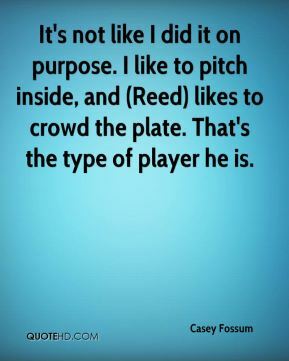 I like to pitch inside, and (Reed) likes to crowd the plate. That's the type of player he is. 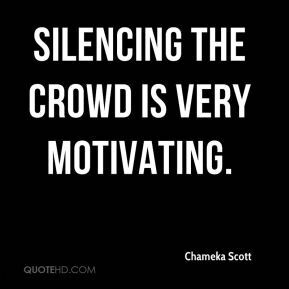 Silencing the crowd is very motivating. 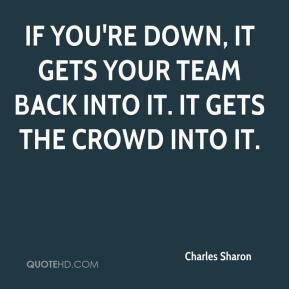 If you're down, it gets your team back into it. It gets the crowd into it. 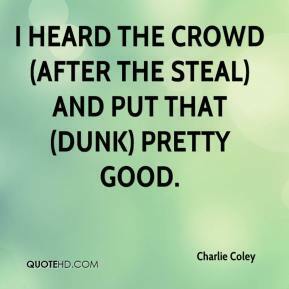 I heard the crowd (after the steal) and put that (dunk) pretty good. They were off-the-cuff remarks that have been blown out of all proportion. The crowd was on my back in that game and giving me stick. That was all. There's no need for England fans to take it the wrong way. They've been fantastic. We should definitely have a big crowd. 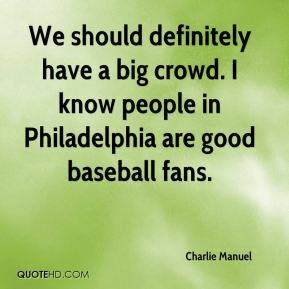 I know people in Philadelphia are good baseball fans. 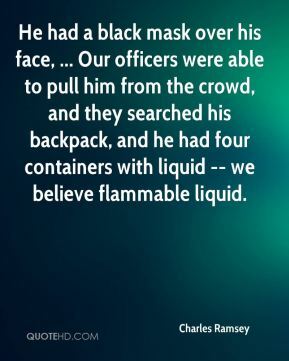 He had a black mask over his face, ... Our officers were able to pull him from the crowd, and they searched his backpack, and he had four containers with liquid -- we believe flammable liquid. 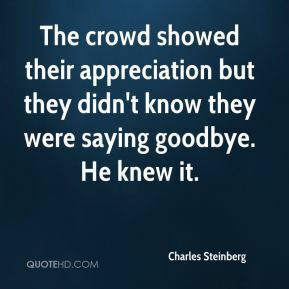 The crowd showed their appreciation but they didn't know they were saying goodbye. He knew it. 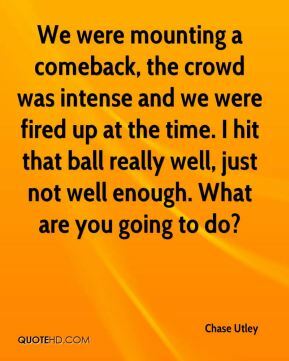 We were mounting a comeback, the crowd was intense and we were fired up at the time. I hit that ball really well, just not well enough. What are you going to do?